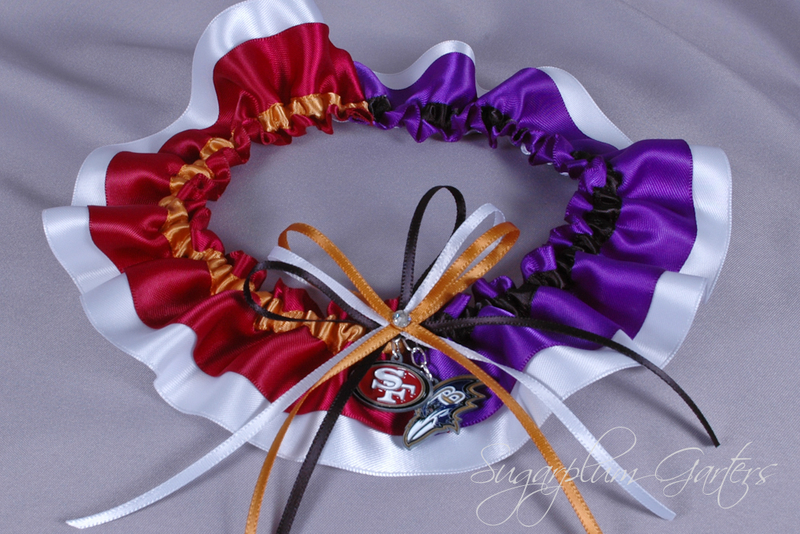 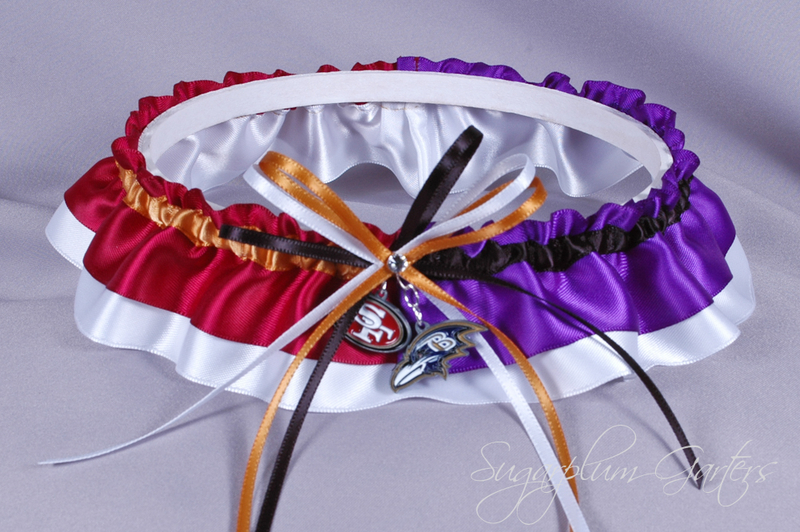 This Superbowl 2013 garter is available for purchase on my website here. But if you'd like to purchase a custom house divided garter or garter set in your own rival teams, you can do that here. 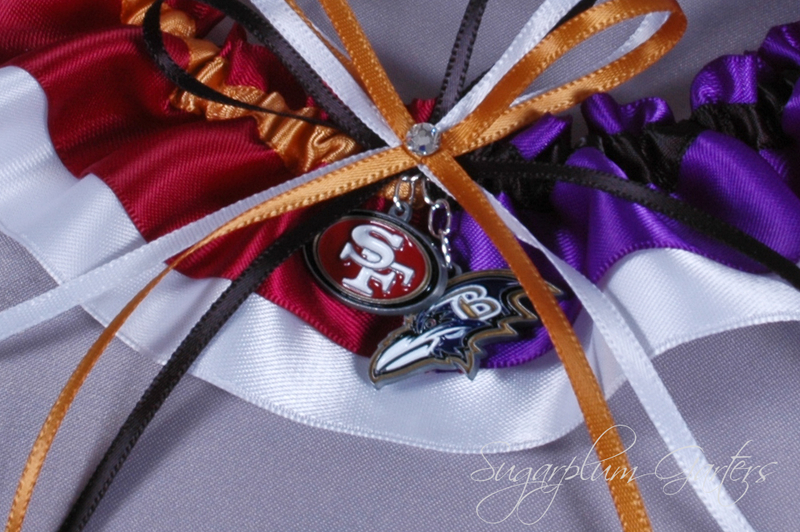 Who will you be cheering for today? I'm not much of a football fan, but I'll be tuning in to catch the commercials!